The app uses analysis of flight delays to automatically identify passenger connections that will be missed, seating locations, profile status and options for rebooking for affected passengers. Flight attendants can immediately view the next best action based on customer loyalty and ancillary product information. The app also provides identification of crew duty expirations to improve scheduling efficiency. The app provides flight attendants with a dashboard that uses real-time passenger data at the point of interaction. The content and materials within Passenger+ replace outdated methods of printing hard copy materials at the airport terminal. The app enables flight attendants to quickly find and respond to crew manual questions and answers. It also provides complete flight bidding and scheduling, travel accommodations and certification classes while in transit. Flight attendants are able to immediately identify and provide quality service to high-profile frequent flyers. 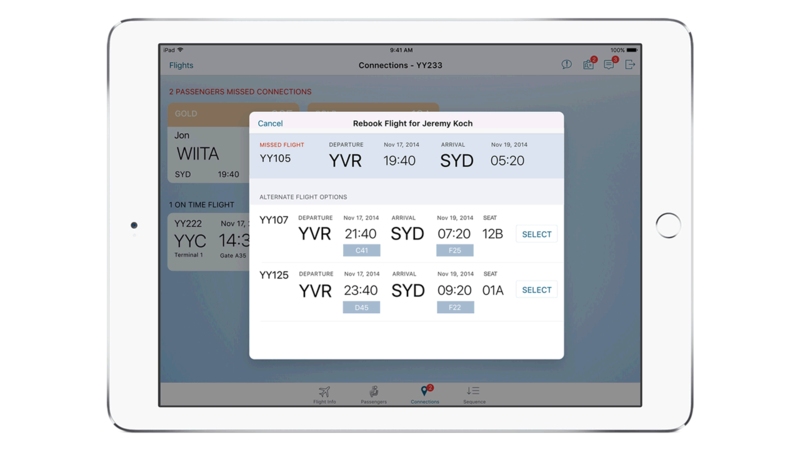 They can ease disrupted passenger concerns because they can re-book passengers based on delays and expected missed connections while in flight.